The editor writes (July 2017) : A visitor centre is being built which will make it easier for those who may be daunted by the access stairway (this is a bunker, after all!) to learn about what went on here, which was so significant in the history of our nation and in which the WAAF played an important role. Please use the external website links on this page to learn more. 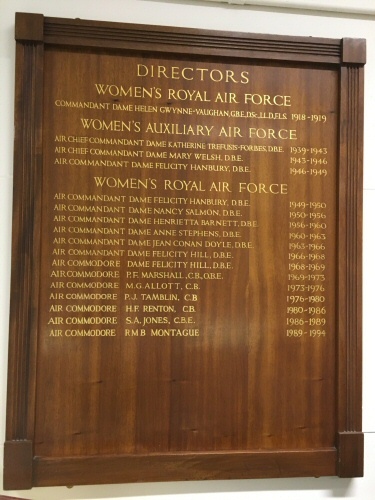 Air Commodore Cynthia Fowler RAF(Retd) was previously a Station Commander of RAF Uxbridge. She is Chairman of the Friends of the No.11 (Fighter) Group Operations Room. She is also Patron of the WAAF WRAF RAF(W) Association. 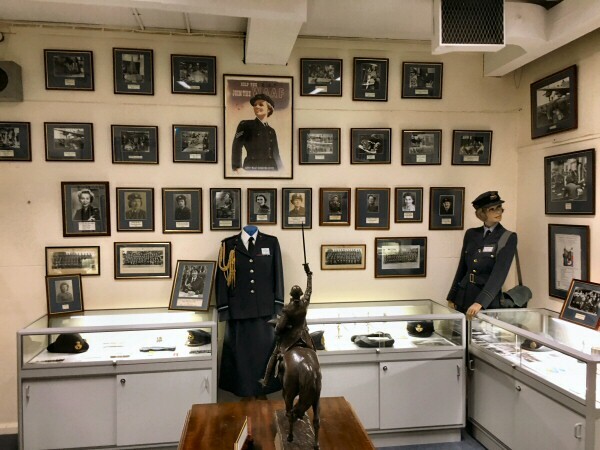 The images below show a little of the WAAF Room in the Bunker. For images of the bunker itself please visit the external websites linked below. 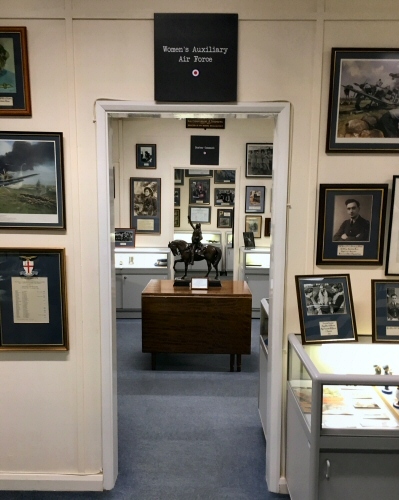 The No.11 (Fighter) Group Operations Room, housed in what is now known as the Battle of Britain Bunker on the former site of RAF Uxbridge, was responsible for planning and coordinating the air defence of London and South East England during the Second World War. As well as bearing the brunt of the Luftwaffe onslaught during the Battle of Britain, the Operations Room was in fact responsible for controlling fighter operations in the South East and over occupied Europe throughout the Second World War, including during the Dunkirk Evacuations and the Normandy Landings. Today the room is shown exactly as it was on 15th September 1940, the day on which Winston Churchill visited and witnessed the conduct of the most significant day of the Battle of Britain. RAF Uxbridge closed in 2010 and in 2016 the Bunker and its enclave were transferred into the ownership of Hillingdon Council. The Museum and Bunker is open for guided tours every weekday throughout the year. Tours normally operate at 10am and 2pm each day. or emailing 11gpenquiries@btconnect.com. The office is normally open Monday to Thursday between 10am and 4pm.